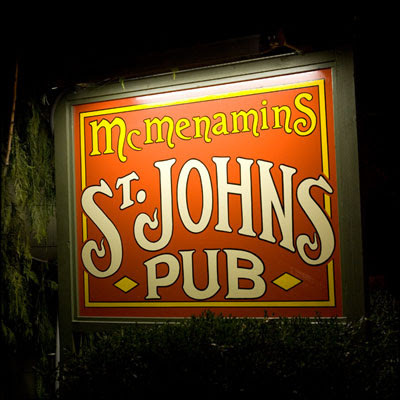 St. Johns is a neighborhood in North Portland with a charming, small town feel and classic character. A small town within a big city, St. Johns is home to many independent thinkers, artists, and young families who are working together to build a strong community. Because St. Johns is less than 5 miles away from the University of Portland, the area is also home and hangout for nearby students, increasing the demand for cute coffeeshops, restaurants, and boutiques. Downtown St. Johns (around the intersection of Lombard and Philadelphia Streets) is where you'll find the local post office, cafes, stellar dining, breakfast places, grocery stores and markets as well as a few cool shops and several parks that are all within walking distance for the residents of St. Johns. The St. John's neighborhood is located in North Portland on the tip of the peninsula created by the union of the Willamette River and the Columbia River. It is bordered by the Columbia River, the Willamette River to the northwest, the North Portland railroad to the southeast, and the Cathedral Park neighborhood to the southwest. The most notable landmark is the St. Johns Bridge, which is named after the neighborhood though it actually connects neighboring Cathedral Park with industrial NW and not the St. Johns neighborhood itself. Every year, the bridge is a popular crossing of the Portland Marathon and is host to a pair of breeding Peregrine Falcons. The bridge is oftentimes compared to San Francisco's Golden Gate bridge, even though there is no historic connection between the two. There are many parks and natural areas located in St. Johns, such as Kelley Point Park, Pier Park, and the Smith and Bybee Lakes wildlife sanctuary. The neighboring Cathedral park is directly under the bridge and has a boat ramp, an dog park and a hiking trail. Cathedral Park is also home to the annual St. Johns blues jazz festival. The St Johns neighborhood is home to a wide array of interesting architecture ranging from cape cods and ranches to Victorian homes. Available home prices range on the average from $190,000 - $300,000. Tucked away from the hustle of Portland city life yet only a few minutes North of Portland is still undiscovered and therefore remains very affordable for the first time home buyer or investor. According to the 2000 census, St Johns hosts 11,346 residents over 7,055 acres. The population is evenly split between males and females and the majority (56%) of residents are home owners. Bungalows, Old PDX, four squares, shotgun homes in a variety of conditions from pristine remodel, to investment fixers. Blue Moon Camera & Machine: (8417 N Lombard St. Portland, OR 97203) This little camera shop is known as one of the best in Portland, the perfect place to find an antique used camera or upgrade your lens on your digital SLR. They'll do an amazing job processing and developing your film and will educate you about anything you want to know about film cameras, including old pinhole or toy cameras. This place is just plain awesome if you're into photography! Atomic Daylight: (8711 N Lombard Portland, OR 97203) This cute and cozy boutique is filled with creative custom made and vintage clothing, and is owned and operated by the fantastic Jamie. She has so much energy, you'll want to shop at Atomic Daylight just to hang out with her, though you'll also find adorable belts, bags, earrings, dresses...you name it! St Johns Booksellers (8622 N Lombard Street Portland, OR 97203) This isn't Portland's largest independent bookstore, but it's certainly one of our local favorites. Powell's may have an exhaustive selection spanning many rooms, but some might prefer the manageable selection at St. John's Booksellers. There are great choices in many genres. The selection of field guides and hiking guides for the local area is particularly nice...as is the craft section. There's also a large variety of fiction items and children's books. There is a huge space in the middle of the shop where you can cozy up on one of the couches and read for an afternoon. Vinyl Resting Place (8332 N Lombard Street Portland, OR 97203): If you love old record stores, you'll love this spot. Check out all the old posters on the wall, thumb through a large collection of musical oldies and goodies. The sections are clearly marked, and since it's a small shop, you won't be overwhelmed. Below the shelves, there are a ton of unmarked boxes full of old 45s to rifle through. You could definitely spend an entire afternoon hunting for a true gem. Leisure Public House: This neighborhood favorite has a great patio, a fantastic beer list, one of the best Bloody Mary in Portland, and is perfect for an afternoon with friends. Gather around the bar or join the crowd on a Friday night, put a quarter in the juke box, and play a game. Oh, and the food is fantastic! Come enjoy a fun and competitive game of trivia every Tuesday at 7:30. Prizes are always awarded and ties are often settled by a dance off. John Street Cafe: John Street is the place to go when you want reliable cafe favorites prepared to perfect. Their ingredients are always fresh, the service is always fantastic, and they even squeeze their own orange juice! Patti's Home Plate Deli and Fountain: (8501 N Lombard Portland, OR 97255) Patti's is an awesome combination of a diner and random stuff store that feels like it's been there since St John's the town merged with Portland in 1915. I doubt it's actually that old, but my goodness it's like stepping back in time and into another town as soon as you pass through the door. Tightly packed shelves hold such hot commodities as 10-year-old Avon samples, "World's Greatest Fisherman" mugs, skeins of yarn in every color of the rainbow, and a whole corner of costume goods like fishnets, wigs, gloves, and hats. And masks! I also stumbled upon a trunk of mix-n-match disguises for $5 per piece.